Much ado has been made about the Trump administration's stance on immigration issues. Throughout the 2016 campaign and into the first months of the new presidency, immigration has been a hot-button issue that has consistently garnered media attention. Last month, the administration took one of its first major swings at immigration reform in putting into effect an Executive Order titled "Buy American and Hire American" (the "Executive Order.") The "Hire American" portion of this Executive Order focuses on the H-1B visa program, a program that is used to give skilled foreign workers a temporary visa, granting them work authorization to utilize their skills in the United States. This blog post will analyze the impact of the proposed reforms, and in particular, the impact of those reforms on startup businesses. The "Hire American" portion of the Executive Order states that "in order to create higher wages and employment rates for workers in the United States, and to protect their economic interests, it shall be the policy of the executive branch to rigorously enforce and administer the laws governing entry into the United States of workers from abroad." The Executive Order goes on to say that "the Secretary of State, the Attorney General, the Secretary of Labor, and the Secretary of Homeland Security shall, as soon as practicable, suggest reforms to help ensure that H-1B visas are awarded to the most-skilled or highest-paid petition beneficiaries." The Executive Order also seeks to advance policies that will protect the American workforce by limiting the opportunity for fraud and abuse of the immigration system to take place. The H-1B visa program allows specialized, skilled foreign workers to apply for a temporary visa lasting three years, renewable for one additional three year period, to work in the United States. The H-1B visa requires an employer to sponsor the skilled foreign worker and to provide employment during the relevant visa period. Common applicants for H-1B visas include recent college graduates with a job offer who wish to extend their stay in the United States through work experience in their field of study. There is a maximum of 85,000 H-1B visas each year to be granted to applicants, 20,000 of which are reserved for applicants with at least a master's degree. 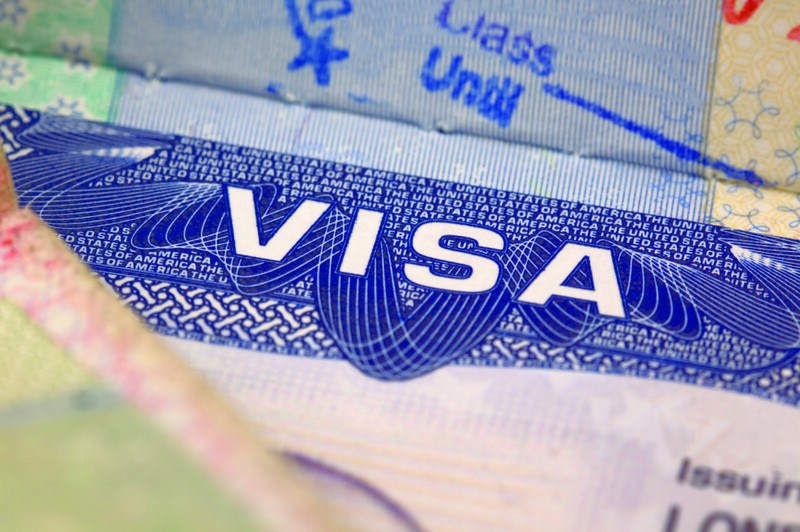 These visas are currently administered through a lottery system, which grants an H-1B visa to some, but not all, of the applicants who qualify for the program each year. The Executive Order has two main goals: (1) to cut down on fraud and abuse within the immigration system; and (2) to help ensure that H-1B visas are awarded to the most-skilled or highest-paid applicants. Regarding fraud and abuse, many commentators believe the ultimate target of the Trump administration will be employers who eliminate existing jobs for U.S. citizens, filling those same jobs with foreign workers that are willing to be paid less money. Another potential target will be "specialized" or "skilled" worker positions for which a sufficient American labor force exists. Regarding the merit of the applicants, the ultimate goal of the Trump administration could be to limit the H-1B program so that only highly-educated, highly-skilled, and highly-paid immigrants will be eligible for an H-1B visa. While neither of these policy points have been incorporated into actual reforms of the H-1B visa program, this Executive Order makes clear that future changes along these lines are likely. Thus, it is prudent for businesses and H-1B applicants alike to consider the potential impact of this Executive Order on their future plans. Startup businesses are already at a disadvantage compared to established businesses in sponsoring H-1B visa applicants. This is because United States Citizenship and Immigration Services ("USCIS") requires a business to demonstrate that it has the ability to pay wages to the sponsored worker. While these funds are readily available and easily proven for an established business, startup ventures need to prove the existence of venture capital or founder-invested funds available for the purpose of paying wages to the H-1B applicant. Additionally, startups in their infant stages that have yet to acquire office space or create a business plan might receive particularly rigorous scrutiny from USCIS in sponsoring H-1B applicants. Lastly, H-1B applicants who are founders or co-founders of a startup often find themselves needing to establish other persons or parties in supervisory roles of their work for the business to create the employer/employee relationship necessary for H-1B status. The Executive Order adds to the list of concerns for startups hoping to acquire talent through the H-1B visa process. First off, any system that would favor highly-paid visa applicants, as stated in the Executive Order, would put startups at a severe disadvantage when competing with established businesses. In a world where highly-paid applicants are favored for H-1B visas, startups may be forced to: (1) abandon recruiting foreign talent altogether; or (2) recruit foreign talent only in cases where the startup can create a competitive application by differentiating their candidate as more highly-skilled or highly-educated than the typical H-1B applicant. Secondly, it is unclear what effect, if any, would result from the proposed anti-fraud and anti-abuse rules on the costs of applying for an H-1B visa. Filing for an H-1B visa and hiring an attorney to help navigate the process can already cost a business thousands of dollars. Added compliance measures required by USCIS would only increase the administrative costs of the H-1B visa program. It is likely that the increased cost of administering such compliance measures would ultimately be borne by the companies sponsoring H-1B applicants through increased filing fees. While these increased costs might not be an issue for established companies, startups would need to reconsider the efficacy of sponsoring H-1B applicants. Given the likely reform of the H-1B visa program, startup businesses planning to hire foreign-born skilled workers requiring an H-1B visa should keep tabs on any developments in the coming months. Feel free to contact a Foster Swift business or immigration attorney with any questions regarding applying for an H-1B visa or utilizing the program to hire employees.